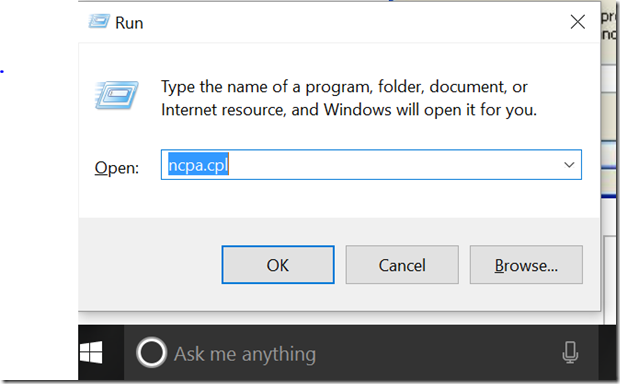 You can use the ncpa.cpl command to open the network connections from command line in Windows 10. Just open the command window and type ncpa.cpl and press the enter key to open the network connections dialog. Alternatively , the ncpa.cpl command can also be used in the Run window. 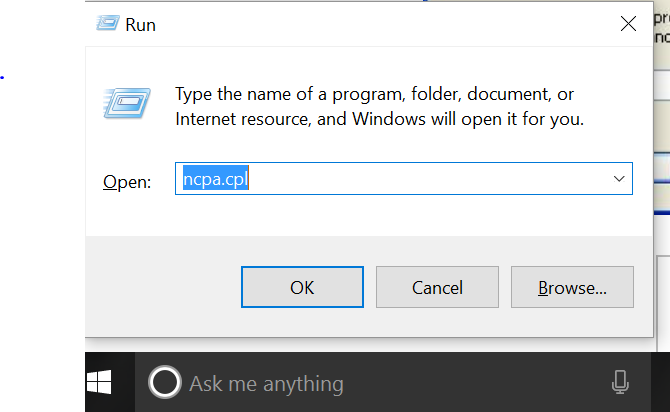 Press Windows + R shortcut key to open the Run window and then type ncps.cpl and press enter to open the network connections dialog.